It’s been roughly eight months since music fans worldwide celebrated the 15th anniversary of an incredible album that came out of the grunge music scene: Nirvana’s Nevermind. It was a celebration tinged with poignancy, the wish among many that Nirvana’s frontman, Kurt Cobain, had still been here to celebrate it with us. Last week, we lost another towering figure who grew out of the Pacific Northwest music scene in the early 1990s, and we also lost him far, far too soon. Soundgarden, Audioslave and solo frontman Chris Cornell was tragically found dead in his hotel room, a few hours after performing with Soundgarden on May 17th. They were one of the seminal bands of the grunge music scene. The similarities with the looming figure of Cobain go far beyond being in a band that’s roots were in a close geographical proximity to Nirvana — Cornell was one of the rare and precious songwriters whose ardent desire to always test the boundaries of his music nonetheless won him legions of fans the world over. He also possessed a voice with such a unique power that he would become the frontman of not one but two rock supergroups: Audioslave and Temple Of The Dog. With Nirvana, Soundgarden and Pearl Jam being the three most essential bands to emerge from the grunge music genre, one could certainly argue that Cornell would be the most famous icon of those three, were it not for Cobain and the eternal folklore that surround his music, life and suicide. Born in the Summer of 1964, Cornell was raised in the city of Seattle, Washington state. The same city where the new genre known as grunge, in which he would play such a vital part, was to flourish. Prior to entering his teenage years, he spent three solid years listening to The Beatles after discovering a large collection of the Liverpudlian band’s records, abandoned in a neighbour’s basement — evidently a pivotal moment for a young boy who would go on to develop a musical curiosity not unlike that of Lennon, McCartney and co. Then entering adolescence, Cornell experienced a depression so severe that he was unable to attend school or even leave the house. While working jobs such as being a sous chef for Ray’s Boathouse, one of Cornell’s first musical ventures was a cover band called The Shremps, performing around Seattle. It was in this band that he met Hiro Yamamoto and Kim Thayil. When The Shremps disbanded, the three musicians began to jam original material together, the beginnings of the music for their next project: Soundgarden. "Cornell was one of the rare and precious songwriters whose ardent desire to always test the boundaries of his music nonetheless won him legions of fans the world over." In 1987, Soundgarden put pen to paper with label Sub Pop, the collective credited with an important role in popularising grunge music, also being the first label of Nirvana and Mudhoney. They released two EPs while with Sub Pop, before releasing their grammy-nominated debut album Ultramega OK in 1988. Soundgarden then became the first grunge band to sign with a major label when they reached a deal with A&M Records. Having firmly established themselves as one of Seattle’s biggest players, besides Alice In Chains, Pearl Jam and Nirvana, Cornell and his bandmates released Badmotorfinger in 1991. This lead them to their next level of commercial success, coinciding perfectly with the world sitting up and taking notice of these bands performing a new sound in the north-west corner of the United States. Soundgarden found themselves right in the center of grunge’s popularity, with songs from their second album such as Jesus Christ Pose proving to be big hits (despite its music video being removed from MTV due to its controversial content). Cornell and Soundgarden finally achieved international stardom with the ironically titled Superunknown. It was this LP that contained the mega-hit Black Hole Sun. At the time, Reviewer J.D. Considine of Rolling Stone wrote that Superunknown "demonstrates far greater range than many bands manage in an entire career." As the band pushed its experimental attitude yet further with self-produced fifth album Down On The Upside, Soundgarden split in 1997, due to creative tensions reaching a peak. Cornell’s burgeoning creativity of course lead to his solo career, including a number of hit songs within the film industry; most famously You Know My Name, the song Cornell co-wrote with film composer David Arnold for actor Daniel Craig’s first outing as James Bond. The song, being the first Bond theme song by a male American, was perfect in tone for a film series that deliberately shifted its character for a new generation. 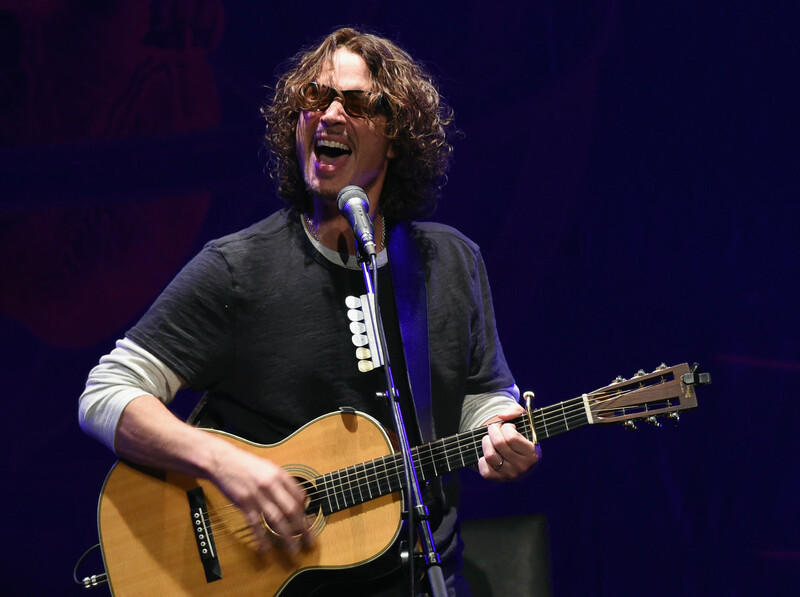 Cornell’s solo career was certainly mixed — his first solo venture, Euphoria Morning, included Wave Goodbye, a tribute to friend Jeff Buckley, a fellow songwriter who similarly died young, in tragic circumstances. The album received mostly favourable reviews from critics, but did not match this commercially. 2009’s Scream received the pop treatment from producer Timbaland, the result being some very uncomplimentary reviews, and a bombing in sales. However, it was more proof that Cornell had absolutely zero fear of pushing the envelope. Cornell will not only be remembered for his enormous range of songwriting, but also for his voice which possessed a particular power to it. When Rage Against The Machine broke up in 2001, super-producer Rick Rubin convinced the remaining members to contact Cornell by playing them Soundgarden’s Slaves And Bulldozers. Guitarist Tom Morello described the first time Cornell sang with the band as “transcendent”. These jams resulted in the supergroup, Audioslave. And while their self-titled debut went triple platinum and lead single Cochise becoming immediately ubiquitous, the band’s early progress was halted when it emerged Cornell was battling alcohol and drug addiction, and entered rehab. The singer remained sober thereafter. Audioslave reunited years later, to protest Donald Trump’s Inauguration, at the Anti-Inaugural Ball this year. In 1991, Cornell wrote and recorded with members of Pearl Jam, another supergroup that called itself Temple Of The Dog. Chris Cornell was a truly unique firebrand — a man who approached songwriting, musical harmony, and guitar playing in a fiercely independent way. Uniting these attributes with his soulful, huge and multi-octave vocal abilities, its little world that the music community is in mourning once again today. With all of this and chiselled good looks, Cornell was the complete frontman, who leaves a great legacy with songs that simultaneously had mass-appeal, while never once conforming to the boundaries of any one musical style. He was one of grunge’s first sons, but could never be contained the genre. And he will be dearly missed.